A Matter of Taste provides a rich menu of gourmet cuisine and full event coordination designed exclusively for each client. Whether you’re hosting a casual dinner in your luxurious villa for friends and family or a black tie gala, every occasion is tailored to reflect each client’s unique style and budget. A Matter of Taste’s chefs create imaginative cuisine with the freshest ingredients. 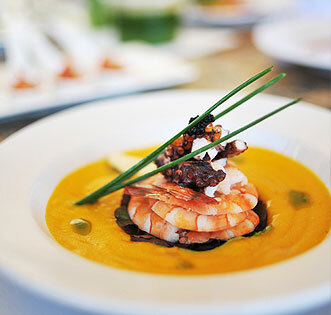 Their passion for artful presentation will delight you and your guests with a menu of international specialties. Check out a sampling of A Matter of Taste's offerings here. Exciting menus lie ahead when you select one of our convenient all-inclusive meal packages from the professional catering team of FresCo. by EAT Cabo. You'll enjoy great dining from morning to night, with breakfast, lunch, dinner, snacks and beverages available. Simply relax in the comfort and privacy of your wonderful Los Cabos villa rental while the talented and friendly team of Fresco by EAT Cabo provides a comprehensive gourmet experience tailored for you and your guests. Customize your menu by selecting from the many options available. 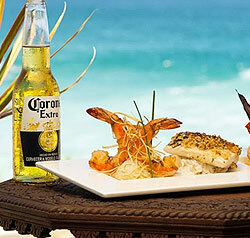 See the full all-inclusive villa meal options here. See the full all-inclusive packages and dining menus here. at your private Los Cabos villa.